You are an event manager in a firm or agency? You plan to have an event in Hamburg, Munich and/or Berlin? Then we will be happy to give you access to our B2B area. There you will find many special conditions and offers from our partners and can register for our popular Site Inspection Tours, various customer events and FAM trips. With our concept of MEET we convince in Berlin and Munich and want to do so in Hamburg. 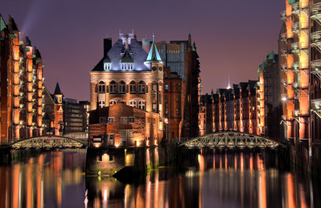 We invite event planners from within and outside of Germany to our first Open Day in Hamburg. On Thursday, April 18, 2013 we want to visit with you among others: BeachCenter Hamburg, GOLF LOUNGE, Tropen-Aquarium & Dressurhalle Hagenbeck, Hotel Baseler Hof, Alsterlounge, Schulauer FÄHRHAUS, Leutturm Harburg, Hard Rock Cafe Hamburg, MesseHalle Hamburg-Schnelsen GmbH, Sound & Light Service, TRUST Promotion etc. Our trailer on the left side gives you an idea of our first visiting tours in 2010. Three to four times a year we send you a newsletter with invitations to the next events. In this way you are always up to date when our partners open a new location or develop a novel, innovative format. You will also be reminded of important branch events (trade fairs, award presentations, etc.). Use of our B2B area is free of charge and without obligation. If you would like access to our B2B area, please send an email with the keyword B2B to us at team@meet-hanse.net. We ask for your understanding that use of the B2B area is restricted to agencies and firms which hold events in Berlin.